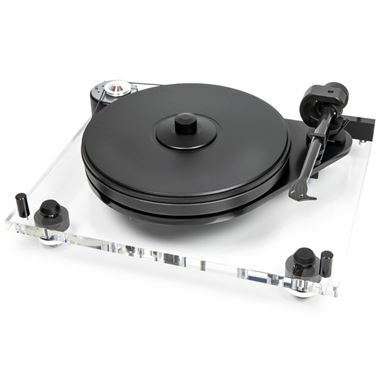 Project 6 Perspex SB Turntable inc Lid (no cartridge). Available with online finance and free delivery. The perimeter drive-belt mechanism was inspired by the introduction of the RPM 10 Carbon turntable, which uses a fully-decoupled motor. With the 6 Perspex SB, the motor sits within its own cut-out inside the main plinth, lined with damping material for reduced resonance. The motor itself is an AC design, which is regulated by its own built-in speed controller. This speed controller not only offers easy switching between 33 and 45rpm, but it also generates an entirely fresh new sine wave for the motor – filtering out the fluctuations and distortions associated with a typical mains supply, for reduced resonance.